You are running to and fro around the house. Your room is a frightful mess after hours of trying hundreds of outfit combinations. You are already half an hour late to your meet-up, but you need to add the finishing touches to your look, of course. The jewelry pieces. But they are probably lost somewhere between that huge pile of clothes and the closet full of unpaired shoes. Does this scenario sound familiar? If the answer is yes, then you are in the right place, as I am here to help you put some order in your thoughts and…accessories as well. There are a ton of options when it comes to organizing and storing your jewelry, it is just a matter of time and a little patience to find one that hits the right cords. If I attracted your attention, continue to read and find out the 3 major criteria that differentiate jewelry organizers and the multitude of shapes and sizes in which they are available. 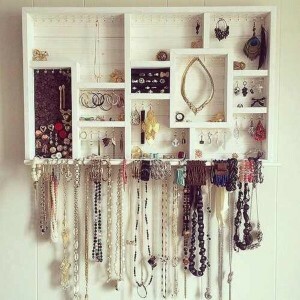 Like any object in your closet, jewelry organizers have their own specific purpose in life. And this can be seen in their capacity of fulfilling your needs. These have a pretty clear and unique usage, as their name suggests. They usually come in the form of layered drawers or cabinets with several numbers of shelves, perfect to stack all your belongings. They are frequently indicated to be used for the jewelry you do not use very often, as it may be harder to find small pieces of jewelry. If you own a store, keep this as a plan B, sort of like a way of transitioning different collections that you own, as they do not enable you to show the jewelry at their best potential. Storage organizers are great if you own a shop that is big in size, as they create a really pleasant design while having practical usage. Best for fragile jewels like crystals that need a certain amount of space and protection. This may sound a little vague and deluding but here I am talking about all sorts of small compartments and mechanisms that we use to keep the jewels in. The best example for this is ring cases, ideal if you specialize in selling engagement or wedding rings, helping you add a personal touch to your brand and style. They are usually tufted with silk or velvet, elegant and refined either if you want to propose to your soulmate or just offer a nice gift. Small can be jewelry boxes like trinkets or caskets which work wonders when it comes to jewelry sets, adding a little class and taste to your product presentation. Small organizers can be very well integrated into window displays, attracting the attention of the buyers not only by the aspect of the jewel itself but what covers it as well. Great for small shops and boutiques. Contrasting the fore-mentioned category is dedicated to all jewelry aficionados that have collected massively over the years and now need the space to store their precious belongings. I mean, none of them can be thrown away, right? Well, it is something for you guys, as well. I am talking about those gorgeous and spacious armoires, drawers and chests that have all it takes to take the burden off your shoulders…or other parts of your body. They can be a staple piece either you own a shop or just add them to your living space. Armoires combine the utility and the aesthetics, both in just one product. 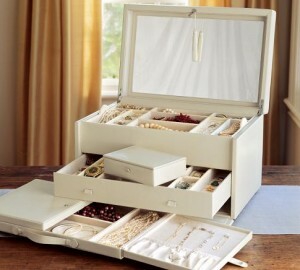 Having so many drawers and compartments they are ideal for jewelry that re bigger in size, like watches, bracelets or necklaces. 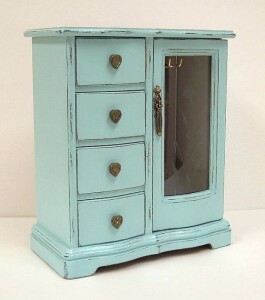 If you own a shop that promotes a more vintage theme, armoires are the way to go. Chests on the other side are presenting the same practical and beautiful looking characteristics, although they are smaller in size. 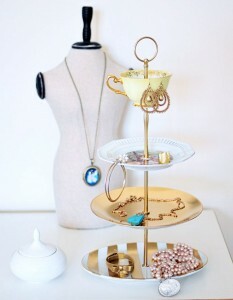 They can compose a gorgeous collection of antique and vintage jewelry if put in the right light and place. If you are like me, and you absolutely loathe the moment when you have to pack for your upcoming trip, then you definitely need one of these beauties. It is very hard to choose just one or two pieces of jewelry to take with you on the road, right? So why not diversify your options? After all, you never know when you find the occasion to wear that diamond ring. So you need all the space possible. They are usually ergonomic zippered compartments to keep all your contents safe and secured. Their soft interior gently protects the jewels of any form of scratching or breaking. They can be an option for retailers as well, being a great alternative if participating at different marketing events and you want to promote your products. Although take only the smaller and more resistant pieces from your stock, as they might not always offer the right type of security. No crystals or any glass materials. Nobody said there is a fixed and consecrated space where to put your organizer. So it is all up to you and the space you have in your house that will allow to use your designer senses in order to arrange the way you want them to be. These are ideal if you are lacking space in your room and you want something versatile but also very chic and practical to organize your jewels. Over the door organizers have a built-in mechanism that allow you to hang them over you door and easily see the displayed items anytime you are in a hurry. They are recommended for items such as scarves and long necklaces due to their vertical construction. Sometimes they are even equipped with a mirror. If you are the owner of a shop, this type of organizer can be your statement piece and dose of originality, as not many opt for over the door storing when it comes to display their collections. It is very important what kind of jewelry you put in here, try something as eye catching as possible, as it is the first and the last thing the client see when entering the shop. So, make a good impression. Similar in design and practical usage as the over the door ones, hanging organizers can be placed anywhere in your room and offer the same ease of displaying your items. They have, as you might guess by their name, small built-in hanger-like elements that allow you to place them anywhere or place anything you need on their hangers. They come in small or large sizes, in different materials such as wood, metal or plastic. Shop retailers, these can transform into your playground. With the right lighting and height adjustments, they can constitute real works of art. They are recommended for the more sophisticated and bigger pieces. Sparkling necklaces , stones, crystals. You can save a lot of space by using the walls and ceilings more. Transform your shop into a museum. These can be moulded into a combination of all the types mentioned earlier. Their only different characteristic is the fix placement. It can occupy as much space as you want, your imagination is the limit. You can transform them in avangardist paintings, by putting them in frames, making customized shelves with all your souvenirs, hang them in unusual manners (animal horns are really popular for this design; fake, of course) or simply stick them to your wall, why not? Very poplar among shops and jewelry boutiques as they are very manageable in terms of placing and designing, helping you make the best out of the space you have. Ideal for any type of jewelries, from rings and earrings to bracelets and necklaces. This is, again a little something for the connoisseurs, for people that like to invest more when it comes to their organizing units. 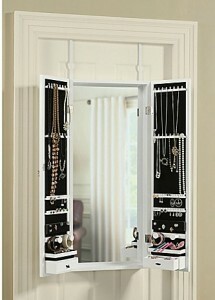 Standing jewelry organizers are, in a way, a piece of furniture on their own. Sometimes made of exquisitely expensive types of wood, they add a touch of style to your already impressive collection of jewelry. 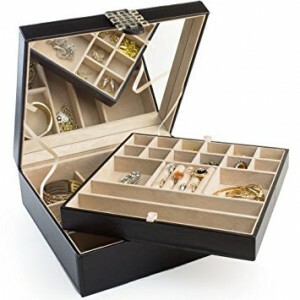 They are equipped with dozens of drawers and cabinets, ideal to store any kind of jewels, no matter of shape and size. Something that you would definitely find in any respectable lady in the 19th century. Feeling vintage? Try some. The best usage for this type of organizers would be if you have a big shop and dispose of a lot of space. It is a great way to show the real potential of your collection, because they are closer to the buyer’s eye, easier to observe and purchase. We finally arrived to the last category. Which divides into seemingly endless subcategories. You really have a dozen of options, depending on your personality and taste. When we say box, our mind makes up a whole range of models, shapes, sizes and colours. And why it shouldn’t? Jewelry boxes have a long history and the discussion is always a challenge. Wood, metal, silver, gold, platinum or even glass, the possibilities are endless. See it yourself. Very spacious and robust, these type of organizer would integrate perfectly in your room, if you need a space dedicated only to your jewels. Tons of drawers for tons of rings, bracelets and necklaces. Pull the handle and reveal the beauty. This would be a summary of what having a drawer organizer might feel and sound like. Drawer organizers can be incorporated in a multitude of other types that I mentioned before, either it is hanged, pinned to the wall or carefully displayed to catch everyone’s attention. Suitable for any type of jewels and ideal for large spaces. You might think only your clothes can be arranged on racks. Well, here you are pretty wrong. 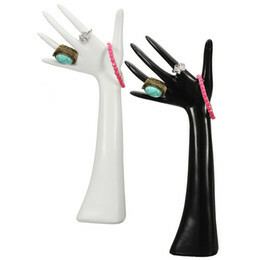 There are various ways in which you can display your accessories. Rack organizers are synonyms with hangers, attentively sorted and displayed. You can use your creativity and customize your racks with different objects that show your personality, such as crystals or organic materials. Ideal for handmade shops and vintage shops, a way to save space and create an utterly unique environment for your clients. When it comes to jewelry risers is all about highlighting the individual beauty and uniqueness of a piece. Usually used for rings and other small and precious jewels, this type of organizer is commonly used in stores for various collections, but who said you cannot create one of your own? Proud of your engagement ring? Store it in a riser. Express your personality. Great for shop windows to put the accent on smaller jewelry pieces but also in focus points of your shop where the light is the most powerful. They can constitute the key element for the more precious and expensive pieces in your gallery. Hoping that now you feel more at ease when it comes to arrange, display and store your favorite jewelry pieces, I wish you the best of luck in your adventure of choosing the ideal organizer that fulfill your needs.